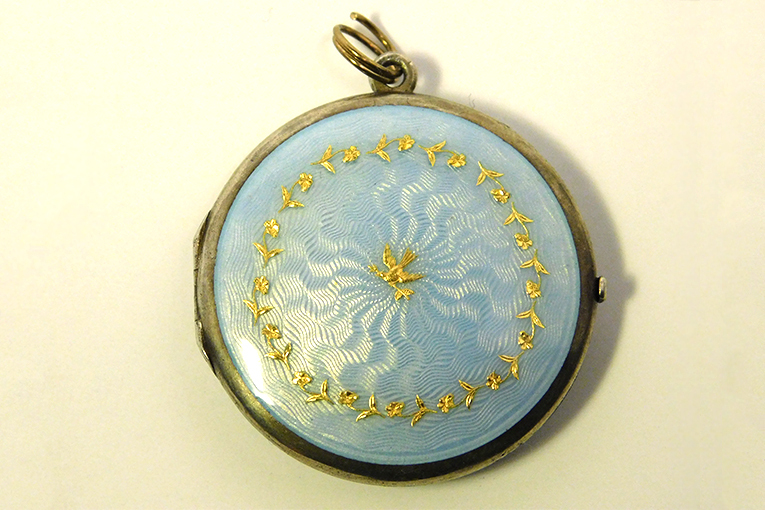 An enameled silver locket, early 20th century, showing the 925 mark used by Norway for export silver. 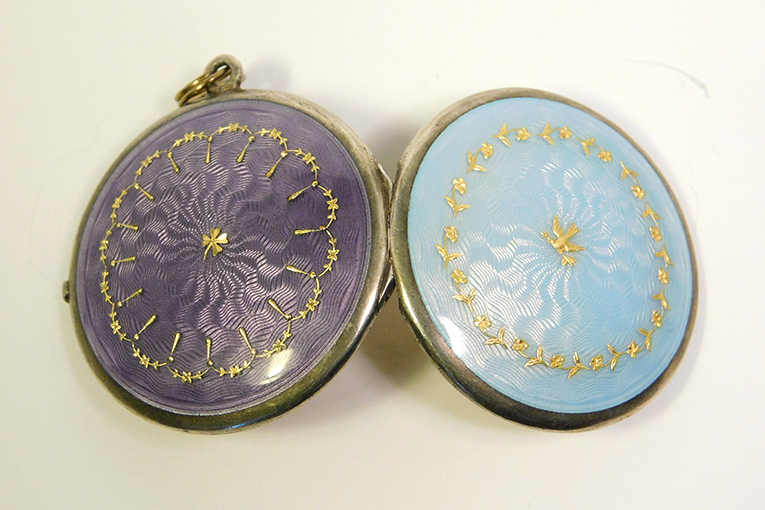 Beautiful enamel work is light blue on one side and lavender on the other. 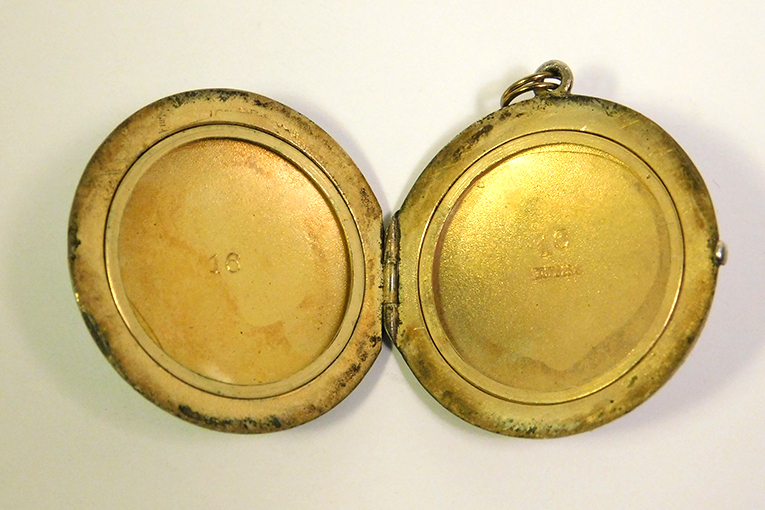 Everything is intact and locket does not appear to have been used. The gold washed interior is perfect. 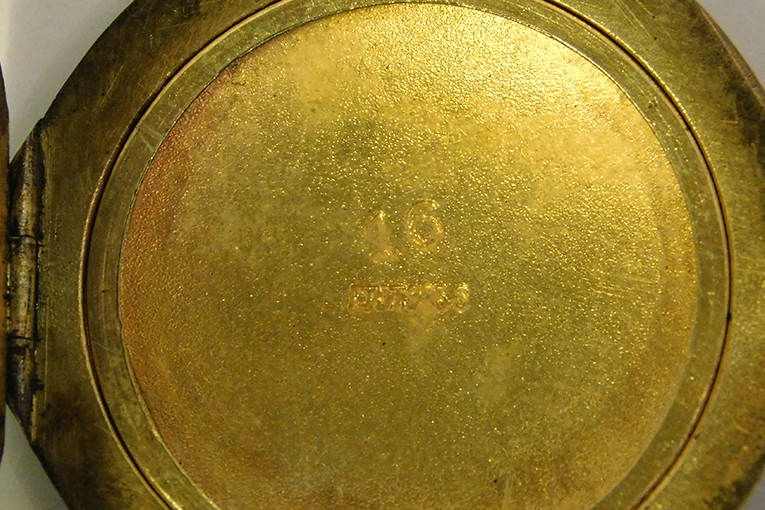 Tiny maker's mark appears to be "GKJ". 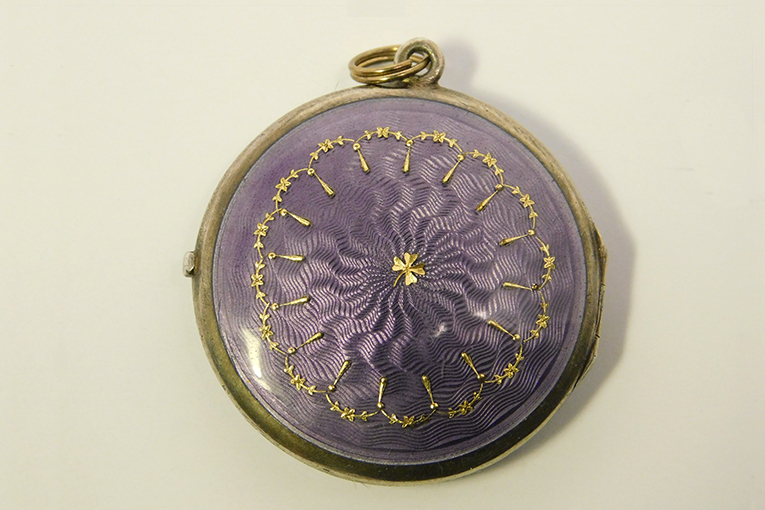 Diameter is 1 1/8 inches.